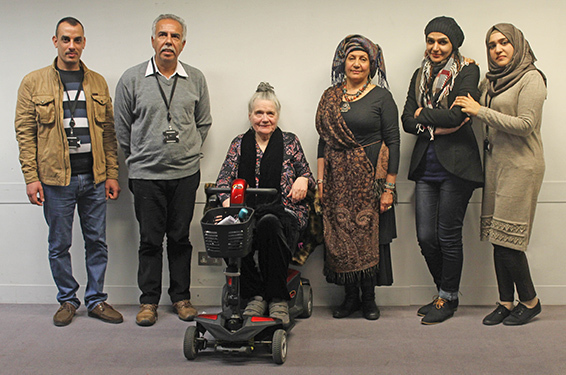 Seen here with Zipang Mesopotamian Storytellers, Fran Hazelton and Badia Obaid, are four members of staff from the National Museum of Iraq in Baghdad. In Spring 2018 they undertook a 4-week Digitisation Training Project at the British Museum. They are (left to right) Mustafa Abdulraheem (curator), Thamir Al-Sammarraie (conservator), Samah Alwerwah (educator) and Safa Al-Maliki (photographer).